What comfort can an agnostic give people who are suffering or dying? Looking for more meaning in his work, Johannes Klabbers gave up a tenured academic position to spend his days caring for the sick and dying. 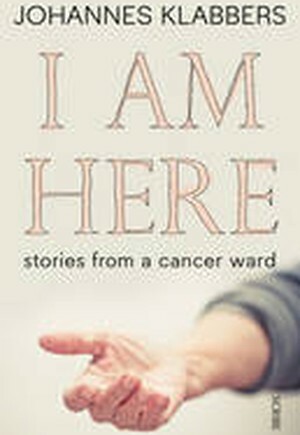 He trained as a secular pastoral carer in a cancer hospital, and from the patients there he learned how simply talking and listening can provide comfort: from chatting about the football to discussing life's meaning and how one prepares for death. I Am Here is a frank, moving, and sometimes funny record of his encounters. It gives an unforgettable insight into the variety of ways people cope with suffering, and suggests how we can support them - through caring, through conversation, and by acknowledging that although we may not be able to answer all of life's questions, we can face them together. From one of the saddest places comes this powerful affirmation of our capacity for humane care.